The UK's traditional role as a logistics gateway to the EU for American and Canadian parcels has been all but vanished by Brexit. For most parcel logistics firms, Brexit is already a reality that needs to dealt with, regardless of future deadlines and headlines. The role of the UK as both a major European economy AND base for EU operations has been disrupted by Brexit. The UK will remain a major market but non EU companies are now implementing EU based logistics. Shippers to the EU need a plan to ensure continued border free access to the remaining European Union. US and Canadian businesses transacting business in the United Kingdom are anxious about the impacts of Brexit as deadlines come and go. No matter the ultimate outcome, the result for those conducting business in the UK is uncertainty. American and Canadian shippers are accelerating the shift from the UK to EU based parcel logistics to ensure border free movement of parcels. The UK is Canada’s second-largest services trading partner. The UK is the largest European export market for US companies. Canada exports over $15 billion to the UK across a wide range of economic sectors and the UK has traditionally served as the EU gateway for Canadian companies. American and Canadian companies sent goods directly to their largest European market, the UK. From the UK, the cleared goods were granted free “euro-domestic” to other key European markets of France, Germany, Italy and Spain. The "first port of entry status of the UK" is no longer valid. Jet’s customers are actively switching parcel storage and distribution to EU based platforms. Jet Worldwide helps Canadian and American companies minimize the impact of Brexit by transferring goods to the European continent to continue to benefit from border free EU access. The UK port is the one and only entry point for many American and Canadian businesses setting up their base in Europe. 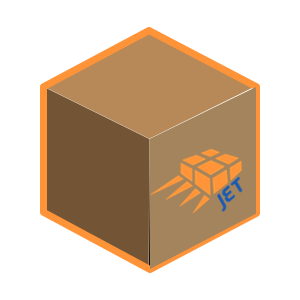 Jet helps shippers set up parcel distribution within the EU. 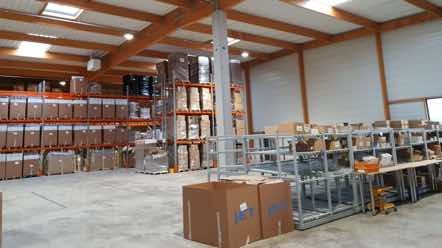 for information on EU warehousing and border free distribution. For businesses doing transacting only in the UK (and not using the UK as a gateway to the EU), it will mostly be business as usual. The key concern is around the economic impact from Brexit regardless of the ultimate outcome. Economists have been predicting slower economic growth and that the UK economy could be over 5% weaker with the pound expected to fall further against the US dollar. With the likely result being no deal, trade between the UK and EU will take place under World Trade Organization (WTO) rules. The WTO principle of most-favoured-nation (MFN) treatment means that the same rate of duty, on the same goods, should be charged to all WTO members equally, unless a preferential agreement is in place. For goods from Canada and the US sent via the UK, customs declarations would be needed when goods enter the UK (an import declaration), or when they leave the UK (an export declaration). Businesses that depend on the movement of parcels cleared and forwarded to the EU via the UK need to plan alternative routings. It seems certain that the UK will no longer be part of the EU customs union. 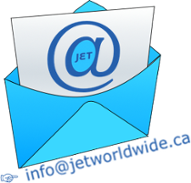 Jet Worldwide offers Canadian and American shippers alternatives for feeding into a EU based carriers. For airfreight shipment to the UK itself - a common method of cross border e-commerce transport - there should be little impact from Brexit. Furthermore, in bond transfers via the UK air hubs will also likely not be affected. Even as the role as the e-commerce parcel gateway to Europe has been ceded, the UK will continue to be a major export market for American and Canadian firms . Brexit will not diminish Britain's role as a world leader. In fact, world trade with Britain could be accelerated with fast tracked free trade agreements with the USA, Canada and even the Trans Pacific Partnership.